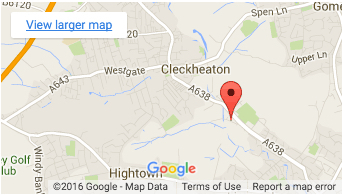 Sontex (Machinery) Ltd is a UK packaging company based in Cleckheaton, West Yorkshire. Established in 1961 and having over 55 years experience in the packaging industry. Specialising in shrink wrapping machinery and bag sealers (including validatable Medical Sealers and specialist Polyurethane and PVC non woven fabric welding). Skin packers and pallet wrappers plus various other specialist packaging equipment and materials solutions on a wide range of products from simple manual compact chamber shrink wrap machines to high speed fully automatic L-sealers and side sealers. Here at Sontex we aim to offer the ultimate selection of shrink wrappers at all times, catering for the maximum number of business needs and requirements, constantly striving to offer the highest quality and most premium shrink-wrapping equipment at the lowest prices. 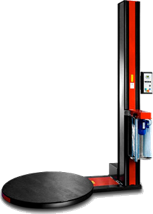 If you are looking for a shrink-wrapping machine, we advise that you browse our website today to find what you are looking for, or to call out knowledgeable and professional team who are waiting to help you. All of our team holds extensive knowledge in regards to shrink wrapping, and are therefore able to advise businesses as to what their greatest shrink packaging machine options are, ensuring that companies within all industries and niches can access the machinery options that are the most advantageous based on their individual requirements. From chamber shrink wrappers to skin packing machine queries, whatever your questions are, we can answer them. Chamber shrink wrap machines for use with PVC and Polyolefin shrinkwrap films. We are the longest established suppliers of the Hood or chamber type combined L-sealer and shrink tunnel machines for over 20 years. L-sealers and shrink tunnels available from stock and bespoke built to order special sizes. L-sealers for PVC and Polyolefin shrink film. 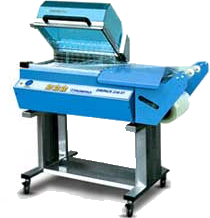 3 wire L Sealer option for Polythene PE shrink film. 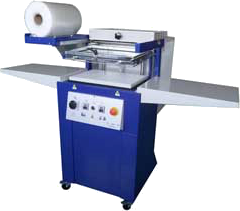 Sleeve Wrapper Machines – Manual, semi-automatic and fully-automatic for shrinkwrapping using polythene film. Automatic Side Seal Machines – For high speed trim seal shrink wrapping in Polythene and Polyolefin shrinkwrap film at seeds up to 65 packs per minute. Side sealers are also suited sealing long products. Skin Packing – Manual and semi-automatic skin packing machinery. Dupont Surlyn skin pack film and skin boards from stock. High Speed Rotary Heat Sealing – Bench mounting, free-standing, vertical or horizontal with or without conveyor, hot air sealer or band sealing. Automatic Bag Making – Fully-automatic, programmable machine for producing large bags and heavy duty sacks from lay flat tubing. Stainless Steel packaging machines – Most of our product range is available in stainless steel for food and medical production environments. 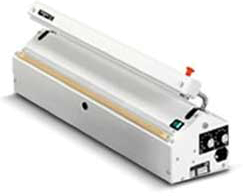 Shrinkwrap machine and Bag sealer spares. PTFE Zone Tape – PTFE Fabric Self adhesive Zone Tape – Conveyor Belts – Resistance Wires – Sealing wires – Element ribbons - Silicone Rubber – Heating Elements – PTFE Bands, Belts, Sealing Blades, Temperature Controllers, Thermocouples Etc.